We’d love your help. Let us know what’s wrong with this preview of Wookiwoo, I Love You by Darren Perman. If you love something set it free... This uplifing and heartwarming story is about friendship, letting go, and the connection of those three little words "I Love You." 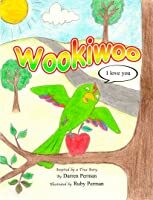 Meet Wookiwoo, a happy little green bird who has found a new friend named Jack. Wookiwoo is always there for Jack as he grows to be a young man. In time Jack outgrows his pet and sets him free. Wookiwoo meets If you love something set it free... This uplifing and heartwarming story is about friendship, letting go, and the connection of those three little words "I Love You." To ask other readers questions about Wookiwoo, I Love You, please sign up. My children really enjoyed this story, and we read this several times!! It was sad at times, and the kids were asking questions, and felt sad about the fact that Wookiwoo went away, but their faces lit up when they saw there were little babies, and especially when Wookiwoo stumbled upon Jack again. The illustrations are adorable and my kids personally really love My children really enjoyed this story, and we read this several times!! The illustrations are adorable and my kids personally really loved them! Very unique style, and definitely caught our eye(s). This is an excellent book to give as a gift for grandchildren, children, your church, school teacher, school library, daycare, preschool, lol, simply put, it is the perfect heartfelt gift for all kids. I WON THIS BOOK!!! It is so adorably drawn and its such a touching story of lifetime friends and moving on. I won this for my 4 year old nephew and I am sure he will LOVE this story. So nice for the author to dedicate it to him as well. Great little Kindle freebie, although I may have laughed a lot more than my son. I liked doing the parrot voice! Darren Perman is a proud father of 2 children, a believer of magic, and lives for grand adventures. 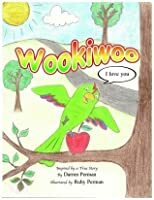 A writer at heart, Darren was inspired to write Wookiwoo, I Love You after he had a dream about his childhood friend's pet parrot named Wookiwoo. He was then awakened by the loud squawking sounds of 200 wild amazon parrots in the backyard of his home town, Malibu, California. He took that as a sign Darren Perman is a proud father of 2 children, a believer of magic, and lives for grand adventures. A writer at heart, Darren was inspired to write Wookiwoo, I Love You after he had a dream about his childhood friend's pet parrot named Wookiwoo. He was then awakened by the loud squawking sounds of 200 wild amazon parrots in the backyard of his home town, Malibu, California. He took that as a sign and the rest is a heartwarming story to be shared throughout the years, and enjoyed and cherished by all who have the opportunity to read this special book. Darren is married to Ruby Perman, who illustrated the beautiful parrots and brought their playful personalities to life. Darren and Ruby live in Dana Point, California with their two children, Alanni and Kanoa. Visit their website at www.wookiwoo.com and connect on Facebook at www.facebook.com/wookiwoo.book. Darren & Ruby love to hear from readers and their families.